• SummitClimb member receiving praise: rescuing climber on ‪#‎Everest‬. Please google: “Les Binns Everest Rescue”. we r so proud of you! 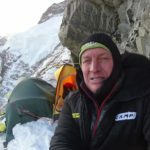 • Everest‬ SummitClimb member Les Binns saved climber’s life on summit day. George Kashouh and Gary Ervin helped too. Good work team! • Now SummitClimb team at ‪‎Lukla‬, “World’s Most Dangerous Airport”. weather seems to be holding, hope we will fly to kathmandu today. 30 May – Pangboche town, ‪Everest‬ Exped storeroom. Yak + Sherpa babies, Rhododendrons and towering Mount Ama Dablam. You joining in October? 29 May – Early sunrise ‪Everest‬ bc: yak bells jingle, Sherpas load huge bags. From top of camp an enourmous chearing: Everest Marathon !! • SummitClimb ‪Lhotse‬ team retreats to camp 2 after yet another blizzard blasts & buries ropes. It feels avalanche, unsafe. We quit. • All of team 2 have now downclimbed from ‪‎Everest‬ Summit to safe and warm Camp 2, where we have a skillful cook. We are so thankful. • All SummitClimb ‪Everest‬ South Col members now descending ‪‎Lhotse‬ Face down to camp 2. Hopefully they make it before today’s storm. • SummitClimb team 2 now ‪Everest‬ summit in snow blizzard. Exhausting 13.5 hour ascent. Now facing difficult descent. Pray for them. • SummitClimb ‪Lhotse‬ team is now advancing on target: world’s 4th highest ‪mountain‬. Today camp 3, tomorrow camp 4, then try ‪‎summit‬. • We’re camped ‪‎Everest‬ South Col awaiting tonight’s 7pm ‪‎summit‬ attempt. Camp has appx 50 tents. Gps locator says we are in China! 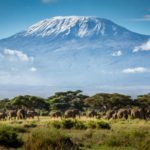 • Team 1 has descended to camp 2. team 2 is in camp 4 preparing to go for summit. Please wish us luck. • Now trying to identify which group climber was with. Not Summitclimb but oh my God, how terrible. 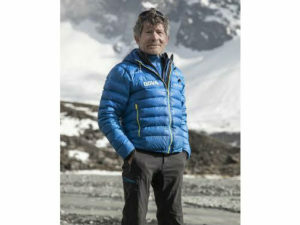 Deceased body has tragically appeared at base of ‪‎Lhotse‬ face. Not from SummitClimb. Sherpas saw climber falling unroped 30 min ago. • Radio call just now received: 100 percent of SummitClimb Everest Team 1 are now on top of Everest. Sunny day. Congratulations! 18 May – SummitClimb team 1: no summit last night (too windy). Try tonight. Team 2 holding at C2: Precaution due to lack of tents South Col.
17 May – Everest‬ C4 ‪‎SouthCol‬ destroyed: wind. Most tents broken. Groups flee. Our team 1 survive bad nite in torn tents. Try summit tonight. 16 May – SummitClimb team B is now in camp 2 after a challenging ascent from base camp. Team A is on the South Col waiting. Too windy there. 15 May – SummitClimb team 2 now packing for tonight’s climb up through the Khumbu Icefall and attempt on Everest. Please wish us luck. 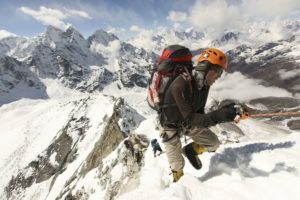 13 May – 14 foreign climbers and 13 sherpas reached the summit of ‪‎Everest‬ today. Congratulations! • A large section of the Khumbu Icefall just collapsed. No injuries reported yet. Teams are stuck. Now searching more ladders, rope. • 9 Sherpas Summit ‪Everest‬ At 17:30 !! 11 May – SummitClimb ‪Everest‬ team 1 sets off for the top of our world’s highest peak tonight at 2am. Please wish them the very best of luck! • Jangbu Sherpa radio call from Yellow Band: 6 SummitClimb Sherpas trying to reach South Col – oxygen delivery. Bad weather: Go Back! • High winds begin 5am this morning. By 8:30 am ‪Everest‬ summit and upper mountain is obscured by cloud. SummitClimb team assessing. 7 May – Today dawned foggy and the clouds moved up to cover the high reaches. The sun popped out later in the day to reveal new snow. 5 May – Rest days: Hot showers, big meals, comfortable basecamp. Many members trek through low villages with thick air and fried chicken. 3 May – Basecamp rest and relax. Hot showers. Clean laundry. Delicious home cooked meals. Movies, email. International phone calls home. • We have returned to basecamp with one delicious meal after another and loads of hot drinks. Cat and Klaus trekked out. We miss you! 29 April – Lhotse face reopens! Ropes moved to new position. SummitClimb team walk to base of face. Sherpas setup C3. Tomorrow we ascend! • Big News: an ice collapse has closed the Lhotse Face. All teams retreat to C2. Now studying safe options: ladders vs long detours? • Now packing in camp 1 for ascent to camp 2. Winds lighter last night. We were able to rest. It seems a weather window opens for us. 25 April – Members now reunited in camp 1 at 6100m / 20,000ft. The icefall has been repaired after serac collapse. EverestER docs healed team. • Today 1 year anniversary. 25 April earthquake Nepal – Tibet. 9000 lost. Our team now in Camp 1 on Everest. We miss you Tom Taplin. • High winds here. Team rests C1. Lots of hot drinks, soup. Marty, Steve up from BC. Basia and George up tomorrow. Sherpas setup C2. • Team climbs up Khumbu Icefall. 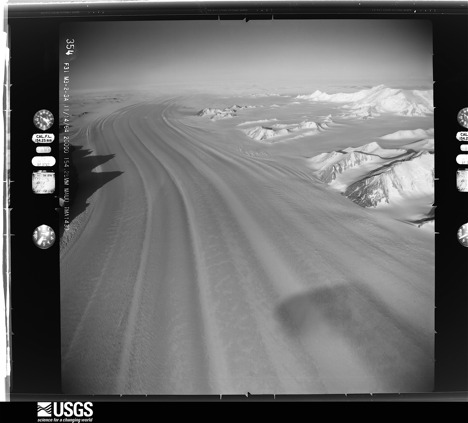 The route is longer due to drought = many crevasses. Now we are comfortable in Camp 1 @ 6100 metres. • We packed all of our mountain clothing and equipment. Preparing to head up to camp 1 at midnight. wish us luck and light winds! 22 April – Expedition blessing ceremony led by high priest from pangboche. Sherpas danced and sang and led toasts to Everest. Team enjoyed it! 21 April – Sangay, Steve, Martin, Dan, Basia ice climb, cross ladders in camp. 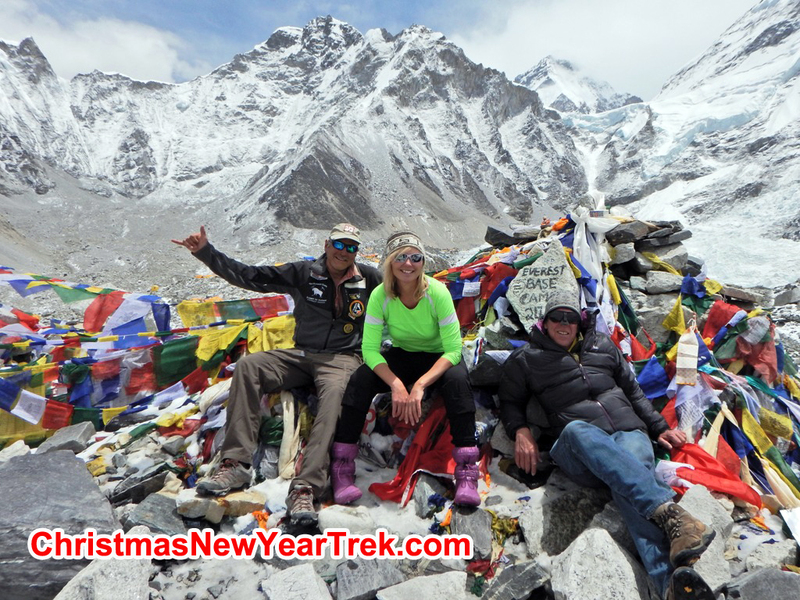 Team treks to 5800m / 19,100ft. 20 April – High wind strikes Everest BC. Some tents broken. SummitClimb team mobilizes. Secure camp, extra ropes. Forecast = more extreme wind. 19 April – Ice climbing training on towers near Everest BC today. Sunny not too hot. Axes, helmets, ropes, harnesses, screws, jumars, 8s! • Everest‬ BC gold sunrise. 15 min walk: visit ‪Icefall‬ Doctors, ‪EverestER‬ hospital. Check climbing gear. Tasty dinner. Watch movies. 14 April – Trekked Dingboche hill 5000m / 16400ft. Stunning views Makalu. Snowy afternoon. Potato pancakes, hot showers, friends. 12 April – Walk upper Khumbu Valley. Stunning views Thamserku, Kangtega, ‪‎Everest‬. Lovely lodge at Pangboche. Small quake last night! 10 April – Entry Everest National Park. Walked up big hill to Namche Bazaar. Sherwi Kangba Hotel very comfortable. Museum, gallery.